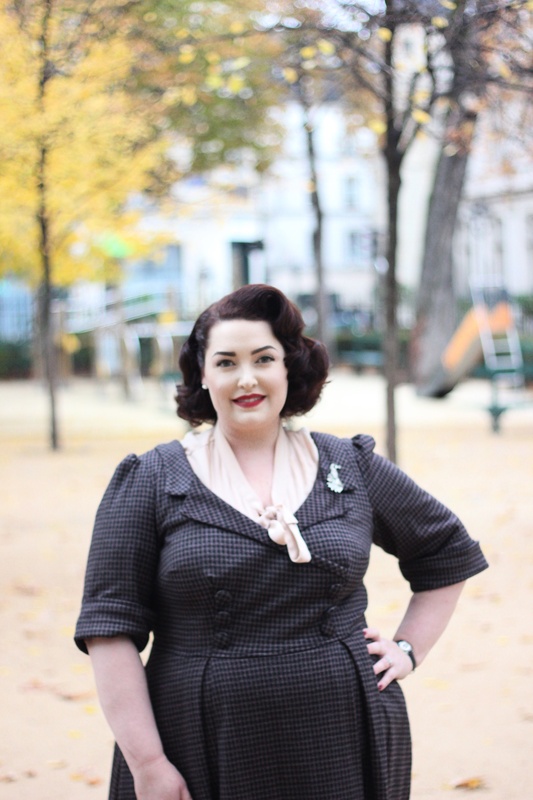 THE Best Paris Trip Ever!!! 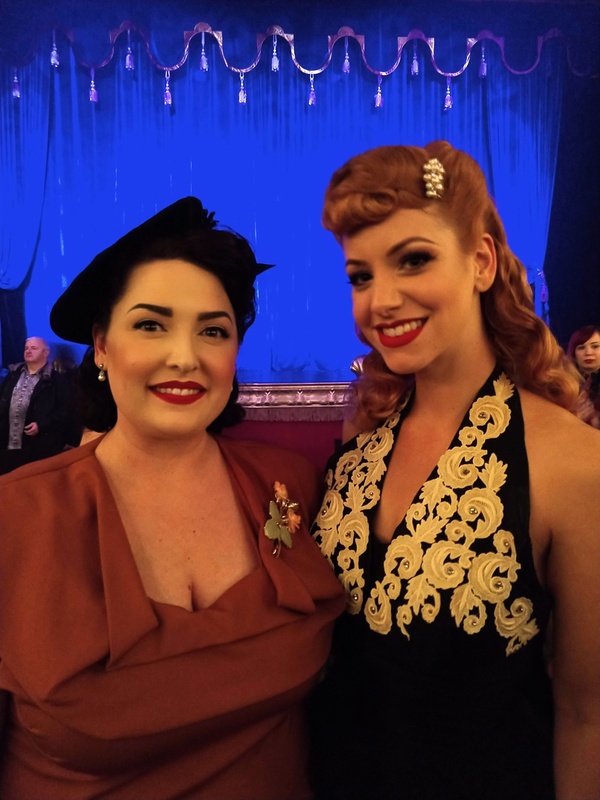 We traveled to Paris once again…this time specifically to see Dita Von Teese perform in The Art of the Teese. If you haven’t seen this show yet, run – don’t walk to get tickets. It is truly a spectacular show! 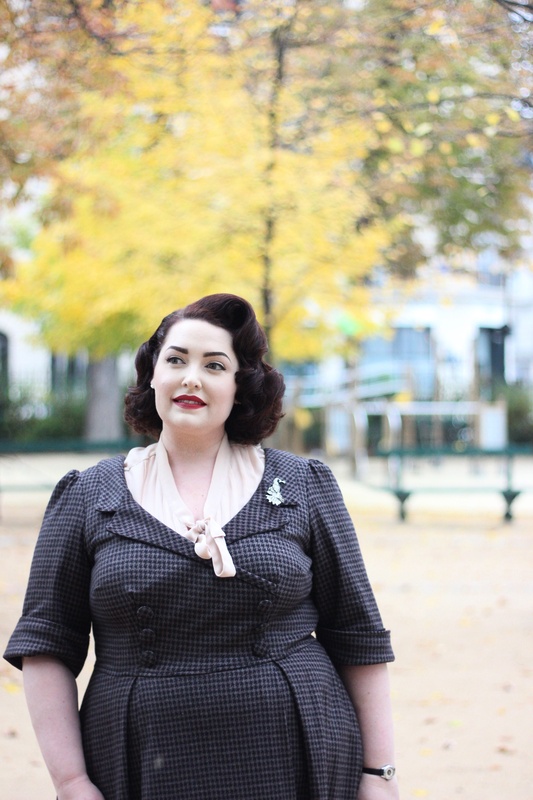 Of course Dita is an enormous inspiration for me, and for many others in the vintage world, and being able to see her in Paris makes it extra special. I had so many amazing experiences on this trip and I wanted to share them with you. 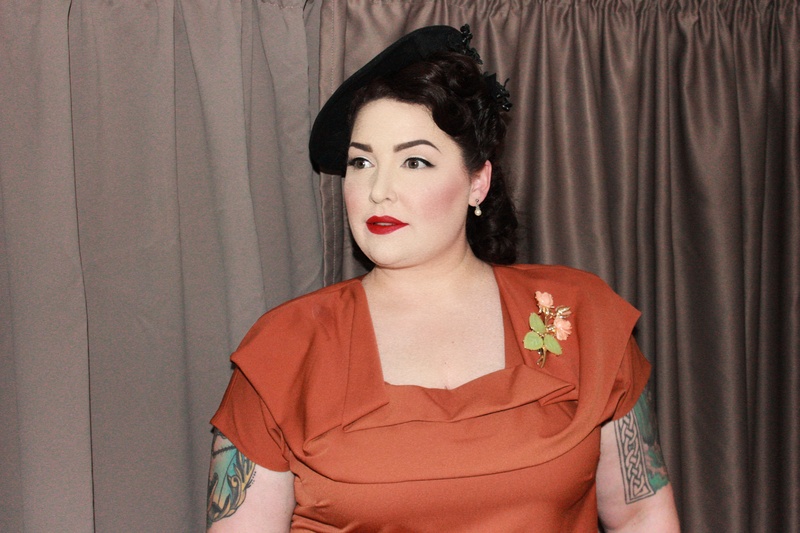 For the show I choose the Lana dress from Vivien of Holloway in a beautiful rust/orange color. 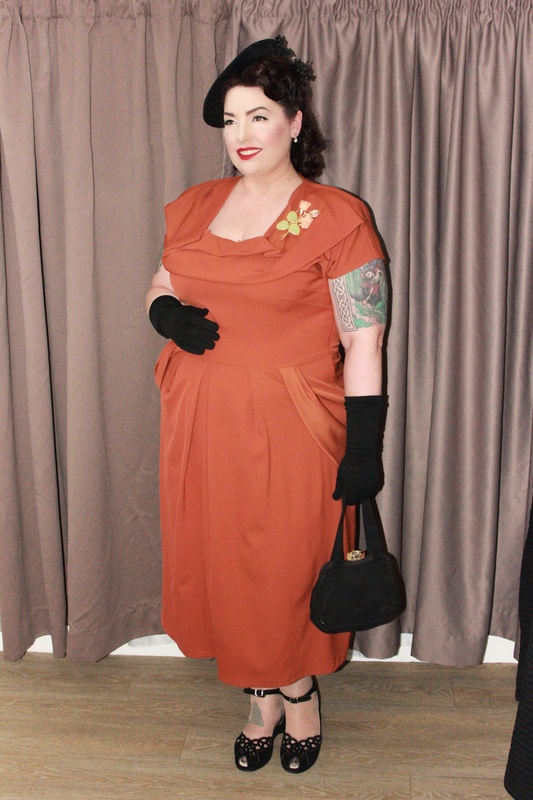 I paired it with black accessories (hoping I didn’t look like a pumpkin) and a huge statement brooch. When I was sitting in my seat waiting for the show to start, a lovely gentlemen came over to our table and tapped my arm. 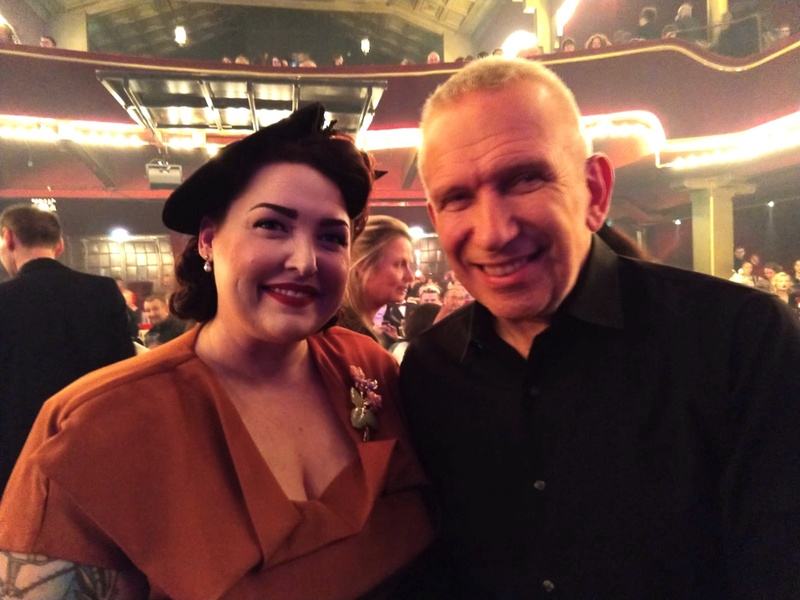 He said to me “Excuse me, madame, but I had to tell you how beautiful you are and I love your look.” As I thanked him for his wonderful compliment I realized who I was talking to…none other than Jean Paul Gaultier!!!!!! He was so lovely and personable. We chatted for a little longer and I got this fantastic photo with him. 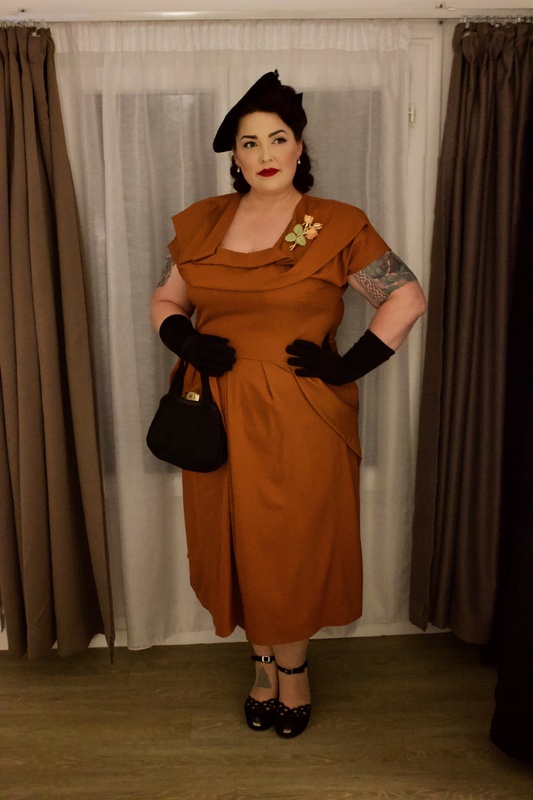 I also finally met Ella aka Miss Victory Violet. She is so sweet and lovely and is just as stunning in person as she is in her photos. 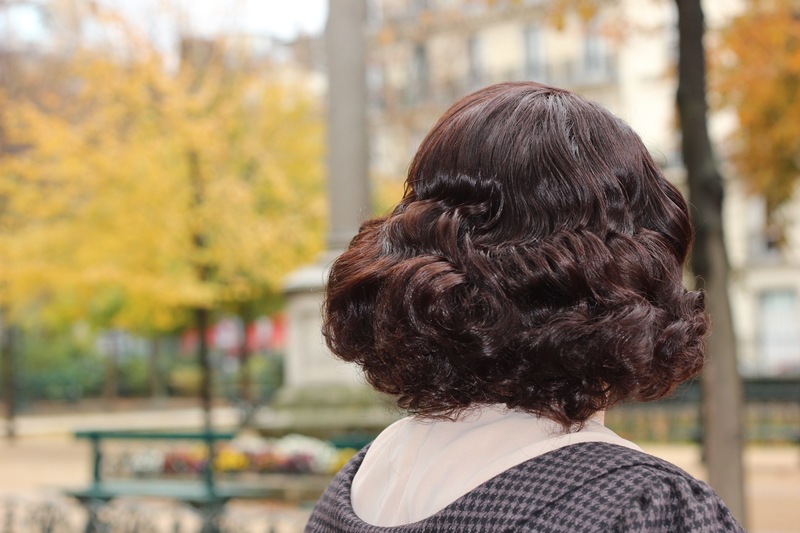 We exchanged information and the next day she contacted me and asked if I was able to sit in as a hair model for her vintage hair class the next day as the scheduled model was unfortunately was no longer available. Of course I jumped at the chance! 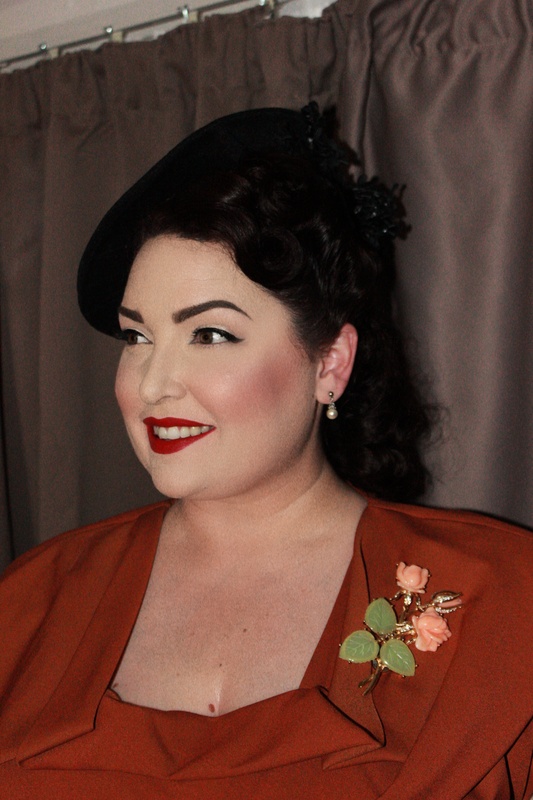 If you ever have a chance to take a vintage hair class with Miss Victory Violet, I urge you to do it! She is super talented, lovely and patient. 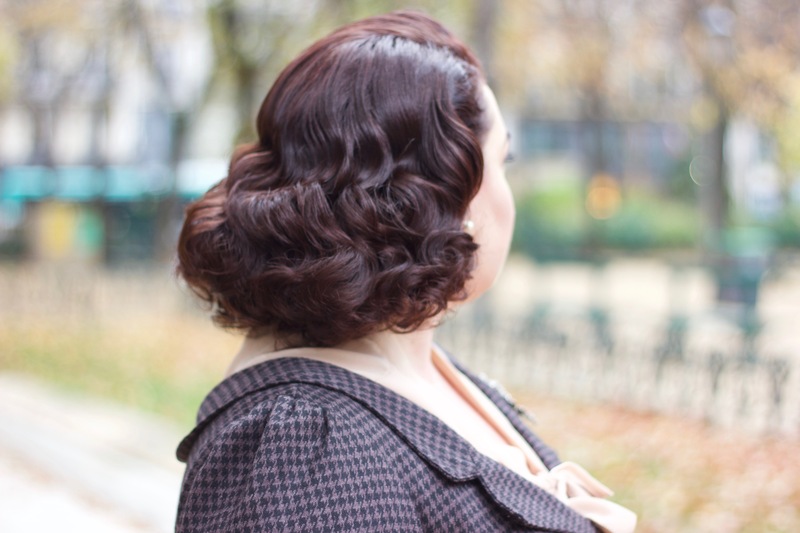 She has a lot of great tips and tricks and helps you figure out the right techniques for your hair type. 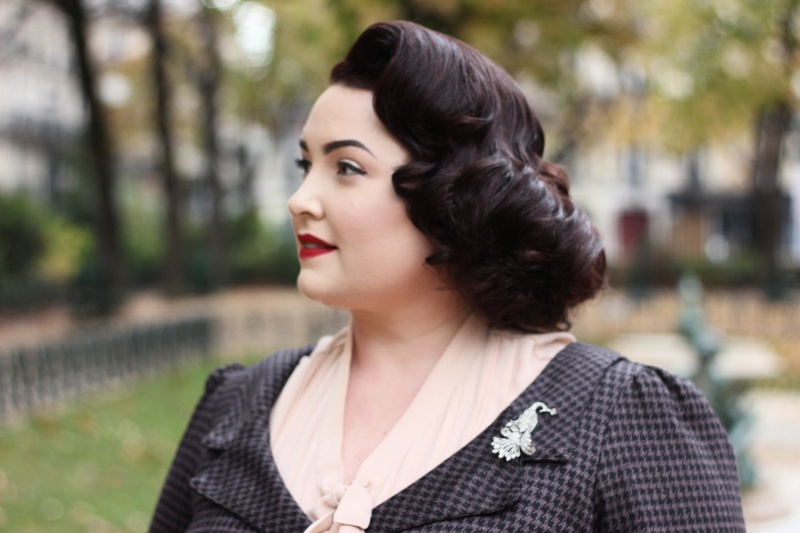 Look at this hair! How amazing is this???? Sounds like it was a magical trip! I know you’re black & blue from pinching yourself! I’m so excited about the surprises of you trip. Oh my gosh, you look stunning! I don’t blame Jean Paul Gaultier for complimenting you! It is also pure proof you are flawless in your style! There is no higher style compliment!